The Apple Watch has been out now for two months. So here at iCloud login we thought it’s about time now to really assess this new product from Apple. There is so much discussion on how this new wearable technology will go down. It’s a much smaller interface, so there are mixed feelings on how usable it will be. But for such a small piece of kit it’s actually a very large product in terms of the technology it contains. It’s Apple’s first new product in 5 years, and the first new product since Steve Jobs left the building. This article looks to cover all the angles, covering the possibilities the Apple Watch opens up for the future of technology and the practicalities for wearable technology. We will look at the release dates, range of styles, bands, cases and prices. In case you haven’t heard any of the hype around the Apple Watch, it’s a smartwatch designed to integrate with your iPhone 5 or 6, and feeds you your important notifications but also has the advantage of monitoring your health creating data for apps such as fitness trackers. It’s the very first Apple product that has been designed to be worn, making it significantly different from its counterparts. Originally the Apple Watch has only been released on pre-order within the US, the UK, Australia, Canada, China, France, Germany, Hong Kong and Japan. With such a slow build campaign it’s been difficult to imagine it finally being available in the stores. But on 4th June, Apple announced it would be releasing the Apple Watch in Italy, Mexico, Switzerland, Singapore, South Korea, Spain and Taiwan on 26th June. The 26th of June is when the watch will finally be available in stores as well as online. 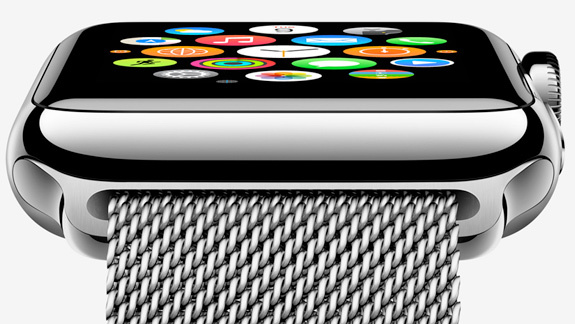 Apple Watchkit – Out Next Month! Is 2014 The Year of the iWatch?